JGB Cranes / It has definitely been a busy, yet exciting past year! It has definitely been a busy, yet exciting past year! During 2013, it was time for us to say goodbye to our 50 Tonne Kato Crane who we shared many jobs and memories with since 1993. 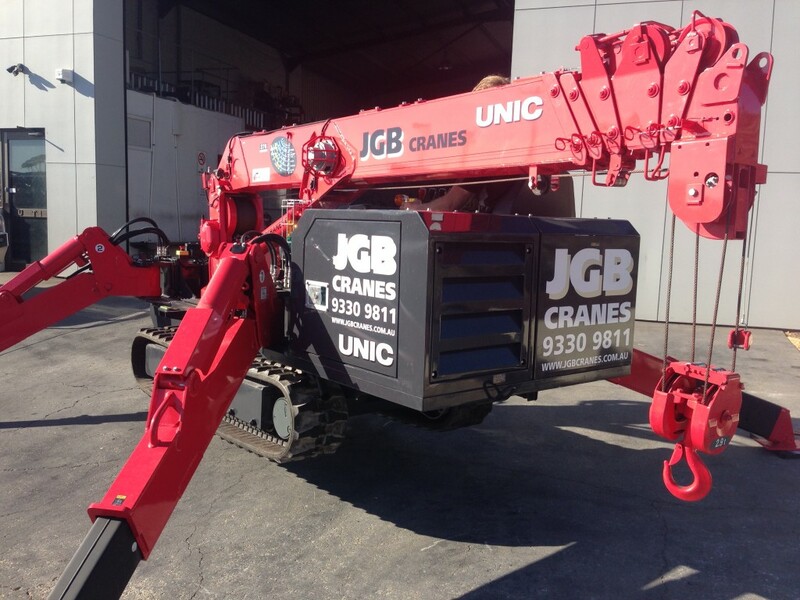 However, since then we have been privileged to introduce 2 new cranes to the JGB family. 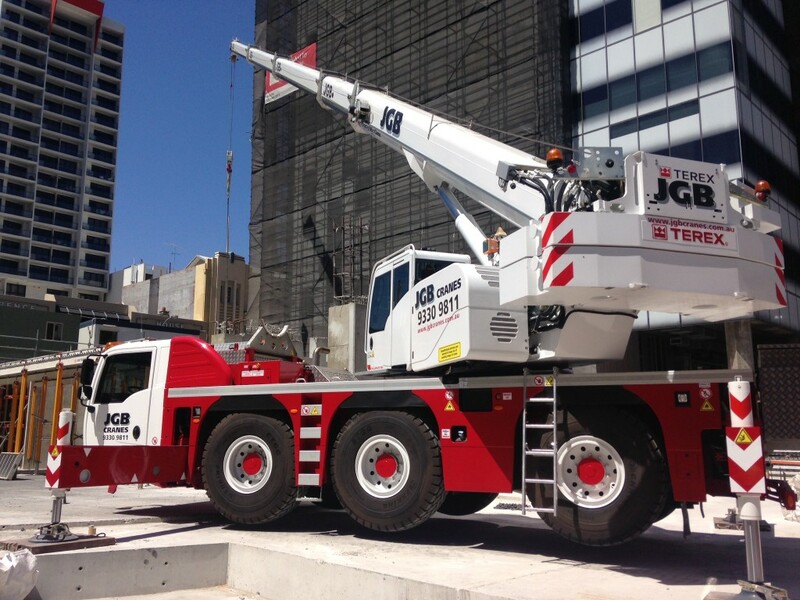 Our little 3 Tonne Unic Spider Crane and our 55 Tonne Terex All Terrain Challenger 3160. The load charts for theses two exhilarating cranes have been added to the load and radius chart list in our equipment page.